Running a railway is a complex business beset with drama. The operation of heavy equipment at speed, twenty-four hours a day, across the full length of the country and using extremely technical signaling, track and mechanical engineering is no mean feat and throws up a constant stream of challenges. Fortunately, the highly professional railway staff are ready to deal with these daily obstacles using their expertise, dedication and, as is so often required, a sense of humour. 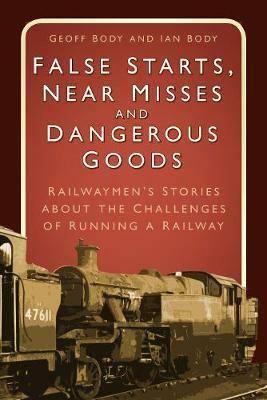 Here Geoff Body and his son Ian have collated a selection of entertaining and revealing anecdotes that illustrate just how unexpected working on the railways can be.